Arsenal FC and Liverpool FC got a draw in their 1st leg match in the Arsenal Stadium - London. 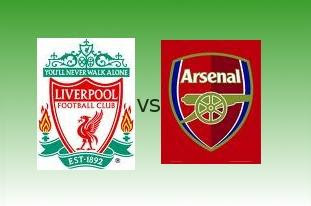 Arsenal FC and Liverpool FC produced only 1 goal each during their 1st leg match in Arsenal Stadium-London. Arsenal FC's Emmanuel Adebayor scored the 1st goal on the 23rd minute of the match after heading in to goal Robin Van Persie's cross giving Arsenal a (1-0) lead. But just after 3 minutes, Liverpool responded immediately when Steven Gerrard bursted into the Arsenal penalty area by beating two players and provided a low cross that Dirk Kuyt slided in to score from(1-1). The rest of the game time did not produce any goal leaving a draw for the two teams. Dirk Kuyt's goal just after 3 minutes from the 1st goal set by Emmanuel Adebayor.